The blossom is out and the clocks are going forward next Sunday (31st) so it’s a perfect time to start thinking about getting your boat ready for the year ahead. Whether you’ve got plans for some weekend summer sailing or a more epic ocean adventure, springtime offers a perfect opportunity for a thorough check and servicing of your boat’s equipment to make sure it’s safe and ready for the season ahead. Solar panels and wind turbines are a low maintenance way to make energy and a quick yearly check of their condition is usually sufficient. We frequently get phone calls from customers who have had their turbines for over 20 years which proves they really can last if you give them some annual TLC. Inspect all electrical connections to make sure they are tight and free from corrosion. It would also make sense to check that the other components in the system (e.g. the mounting kit, any external charge controller etc) are in good condition. However, always refer to your turbine’s User Manual for confirmation of what maintenance is recommended for your specific turbine model and to ensure that you comply with your warranty requirements. Helpful tip: - If you’ve lost your User Manual, please check our website as you can instantly download the manuals for most products we sell. Simply visit the product page and under the “Manuals & Datasheets” tab you’ll be able to access the PDF download links. If you can’t find the User Manual you need on our website, please email us and we’ll try and find it for you. The maintenance recommended for a solar panel is fairly minimal and common sense. You should check the panel is free of soiling or shading, such as leaves or seagull droppings. If you need to clean the panel, be careful to only use water or a very mild detergent with soft cloths. Do not use harsh chemicals or sharp objects as these will likely void your panel’s warranty. As above, always check your panel’s User Manual for the manufacturer’s recommendations on maintenance and cleaning. Spring is a great time to order in the replacements for the bits and pieces that have broken over the year. 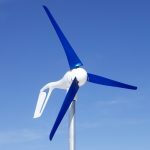 The good news is that unlike most electrical pieces of equipment nowadays, spare parts are available to order for most wind turbines, meaning that it is possible to repair, rather than simply bin, a broken turbine. 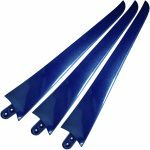 For example, new blade sets, bearings, hubs and nose cones, plus much more, are available for all models we sell. If it’s a tricky repair or you’d rather leave it to the experts, you can simply book a wind turbine service. Turnaround time is usually 2-3 weeks depending on the state of the unit. It’s obvious to say that you can boost the power you generate on your boat by having more solar panels but this is easier said than done if you’re short on space on board. With boats the space available is usually the deciding factor. Different-shaped panels so you can find a panel that fits the space you’ve got. For example, SunWare offers a choice of panels with a slimline (long and thin) shape or a squarer-shape. Robust panels, such as from the Solara or SunWare range, have a special non-slip surface that means they can be walked on with deck shoes. These panels are also semi-flexible (up to 3% of its length) to help fit slight curves. 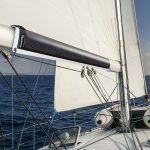 If you don’t want panels stuck down on your decking area, SunWare’s TX-range of solar panels have a textile frame that can be easily attached to your bimini or sprayhood. These panels are also foldable in the larger sizes, providing a convenient and portable option. Novel blade design for a lower noise output e.g. such as the blades of the AIR Silent X/ Silentwind turbine and the Rutland 1200. More efficient charge controllers. For example, the charge controller of the Rutland 1200 which uses Maximum Power Point Tracking (MPPT) technology to optimise power generation. Remote displays for charge controllers (such as the Rutland HRDi and the Rutland 1200) meaning you can monitor your turbine’s performance from a convenient location on your boat. If you’re looking for a new turbine, don’t forget our Wind Turbine Trade-in Scheme which offers you £100 off a new turbine when you trade in a used (working or non-working) turbine! Check out the details here. TIP - Please remember, some larger and/ or more specialist pieces of equipment are often made to order (e.g. the Solbian flexible solar panels) so please order well in advance or give us a call to check lead times. We can also ship items abroad if this makes logistics easier for you. For larger orders, we will always endeavour to offer a discount where possible. 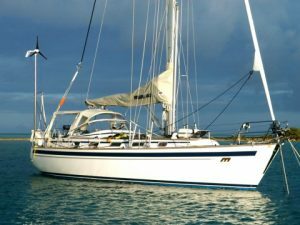 Many of our customers have amazing adventures and challenges planned for the year ahead, including Trans-Atlantic rowing challenges and ocean sailing trips. For those preparing for an epic ocean adventure, we strongly recommend taking some spare equipment with you so that you don’t get caught short when you’re out on the sea. 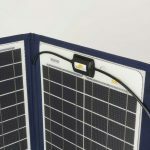 As a starting point, we’d suggest a spare solar charge controller if you’re using solar power, plus some replacement blades and a nose cone if you have a wind turbine. Also, some small portable power generating equipment, such as the US-manufactured PowerFilm solar panels, would be a sensible addition. 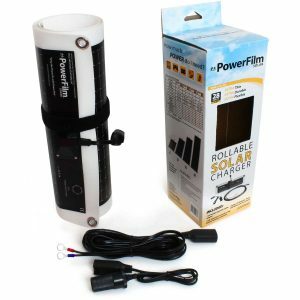 These excellent, flexible panels can be used as a back-up power supply or a power boost to charge smaller electrical gadgets or even trickle charge a 12V battery. PowerFilm panels are very thin and lightweight, so they can be rolled up to a very small size and easily stowed when not needed. If you have any questions about any of the above then please get in touch. We’d also love to hear what adventures and challenges you have planned for the year ahead so please feel free to comment below or visit our Facebook page.